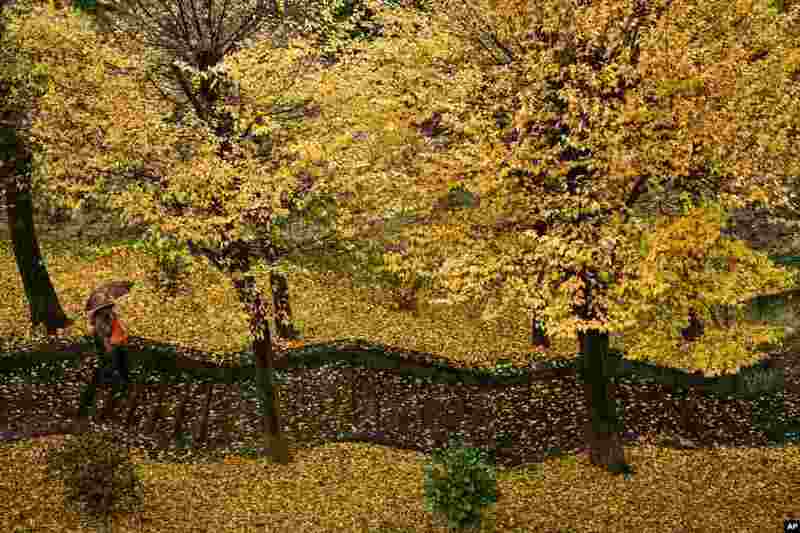 1 A pedestrian walks down steps through a row of trees during a rainy autumn day, in Pamplona, northern Spain. 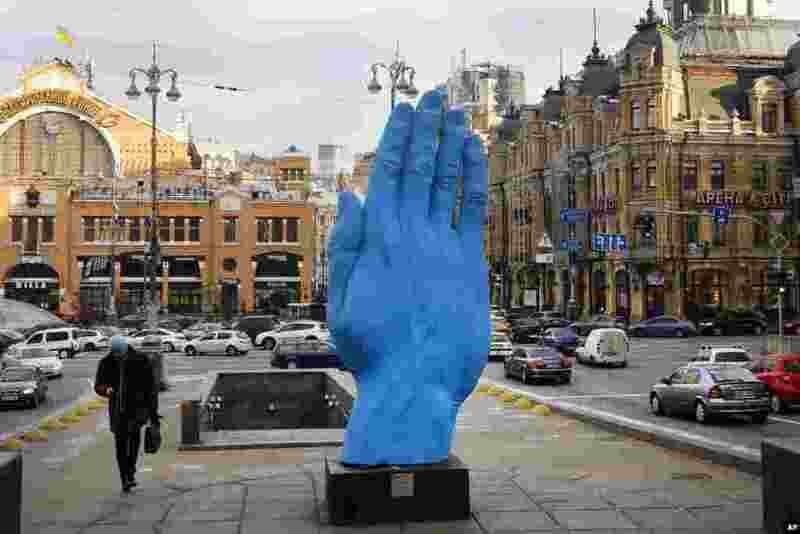 2 Art installation "Middle way" by Romanian artist Bogdan Rata is displayed in Kyiv, Ukraine. 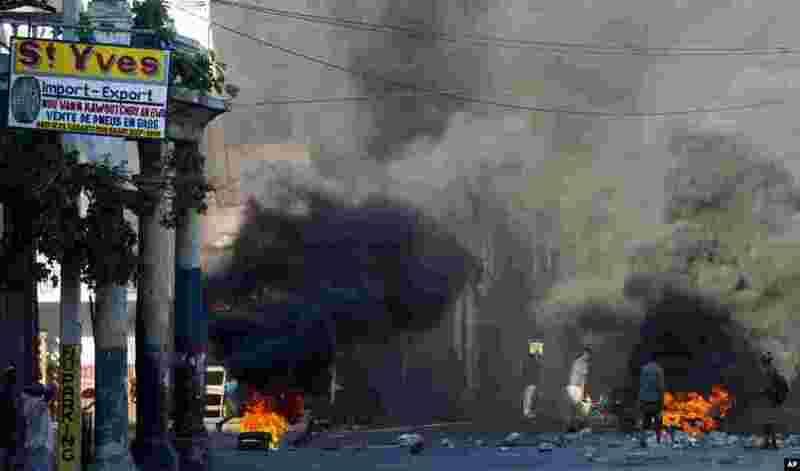 3 Burning tires and large rocks serve as barricades blocking a road on the third day of countrywide protests over allegations of government corruption, in Port-au-Prince, Haiti. 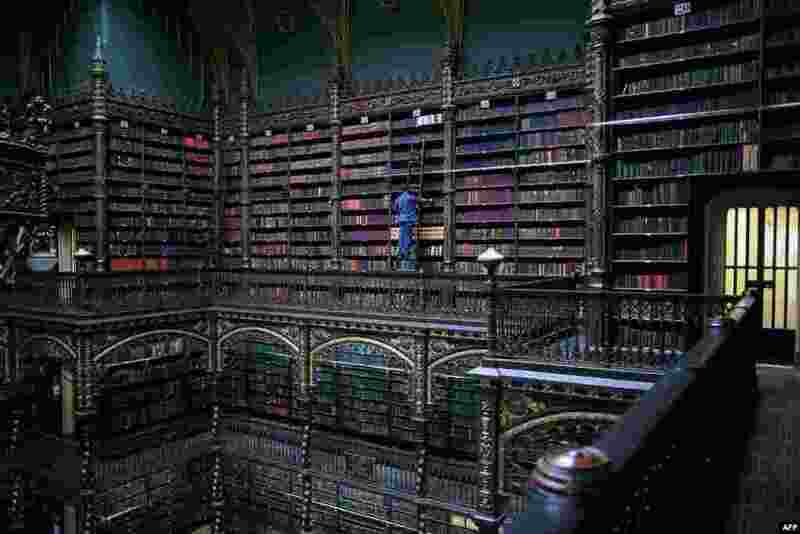 4 Employee Jeferson Deodata da Silva selects a book from the shelves of the Royal Portuguese Cabinet of Reading in Rio de Janeiro, Brazil, Nov. 19, 2018.